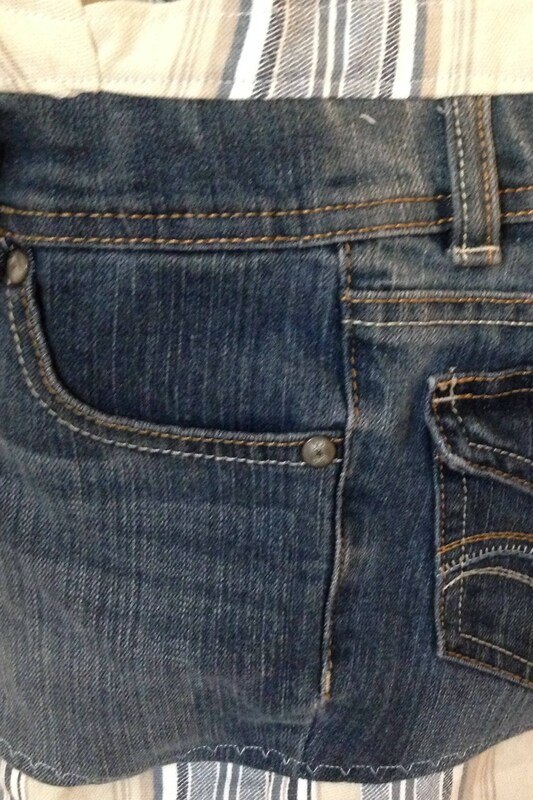 This denim blue bag takes advantage of the front and back jeans pockets to hold your keys and cell phone. 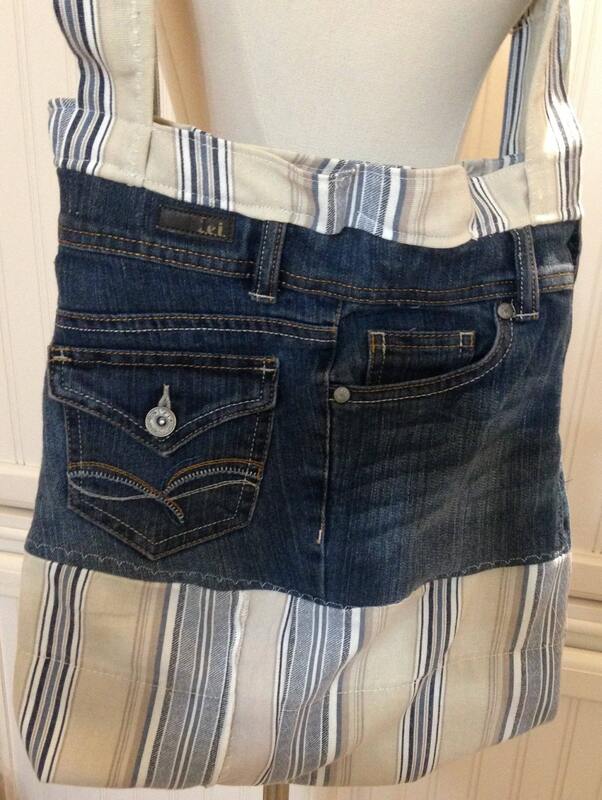 At 16" by 18" with 28" long straps, this is a larger bag perfect for Market day or any day. 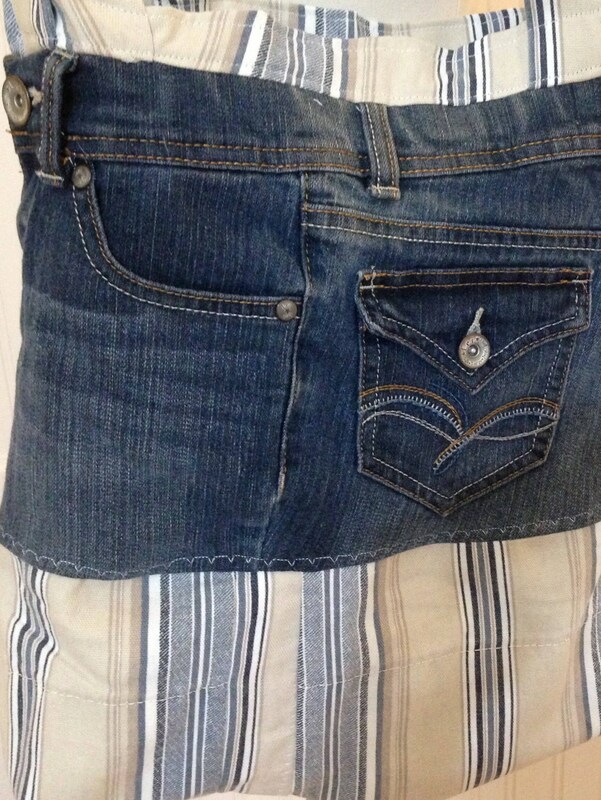 The bottom as well as the lining are made from home decor fabric in a shabby chic blue, cream, and tan stripe. Who doesn't need a great bag with just the right number of handy pockets. 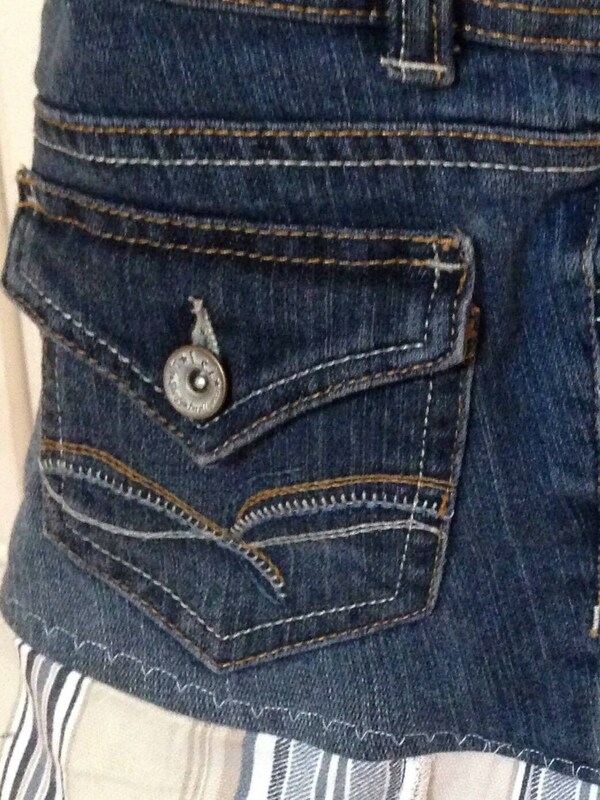 The magnetic snap top closure on the bag will keep your things from slipping out. This great size bag is sure to become your every day favorite. Don't worry about spills and spots this bag is fully washable. 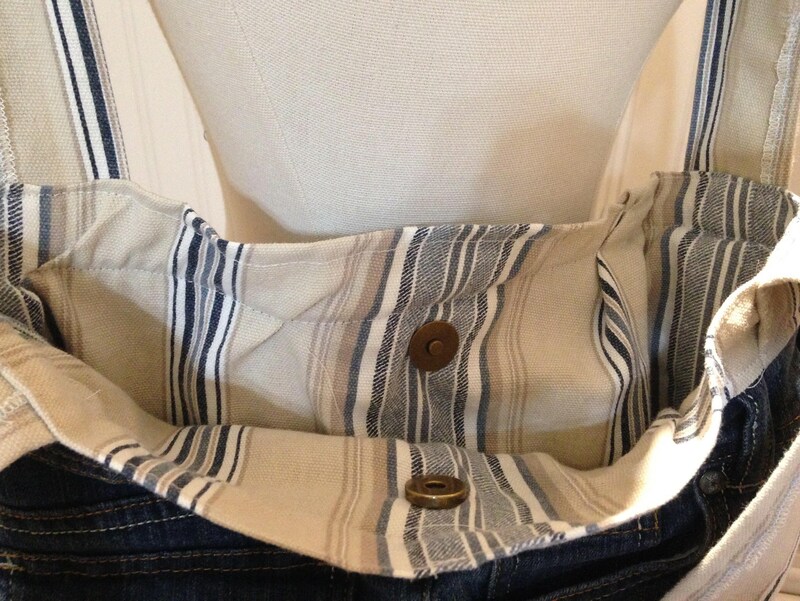 Made from repurposed blue jeans, these bags are the perfect use of recycled fabric.